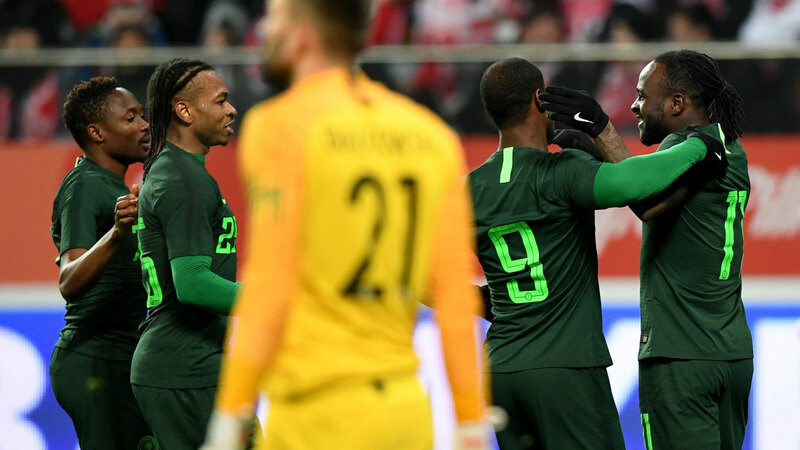 Yusuf pointed out that Obi making the starting line-up had little or nothing to do with his performance in training, and added that the technical crew chose him because they want to see whether or not he can adapt to Rohr’s system ahead of the 2018 World Cup. ‘’We have some players that we want to see that did not play in the World Cup qualifiers, ‘’ Yusuf told allnigeriasoccer.com just before the players and officials left for the stadium for the game yesterday. ‘’We already know Onazi, he has played so many games for us. We want to see whether Joel Obi can adapt to our system of play. The 26-year-old Joel Obi last played for the national team in a pre-World Cup friendly against Scotland on May 28, 2014. Meanwhile, Nigeria’s U-20 boys, Flying Eagles, will today fly to Cairo for a two –match tour of Egypt as part of the team’s preparations for the qualifying series of the 2019 Africa U-20 Cup of Nations. Head Coach, Paul Aigbogun will lead the new group that is being put together with the mandate not only to return the Flying Eagles to the Africa U-20 finals which they missed last year, but also to qualify for the FIFA World Cup and go one better than the Class of 1989 and Class of 2005 that won the silver medals. The trio of Elkanemi Warriors’ Nur Mohammed, Ikouwem Utin of Enyimba FC and Plateau United’s Eneji Moses, who impressed with the Super Eagles B at the African Nations Championship in Morocco earlier in the year, are in the 23 –man squad that will face the Junior Pharaohs. Kano Pillars’ Nazifi Yahaya, Nasarawa United’s Douglas Achiv and Akwa United’s duo of Duarw Nuhu and Adeshina Gata are also in the contingent. Team Administrator Aliyu Ibrahim Lawal told thenff.com that the Flying Eagles would take on the Junior Pharaohs on Tuesday, 27th March and Thursday, 29th March, with both matches to hold in Alexandria.